“Balancing Dreams” is a piano solo album by the young and talented pianist from Turin. After the successful albums in trio with Ruben Bellavia and Davide Liberti, he shows all his skill as a piano soloist, in a project full of outstanding musical ideas: new compositions, some standards and a collaboration with the renowned rapper ENSI , mixing jazz and hip hop. Balancing his desires and his dreams, Giachino sets his expressiveness free and leads us into an enthralling space through an uninterrupted, intimate dialogue, where his love for jazz, and music in general , reaches its highest aesthetic value. “Balancing Dreams” by Fabio Giachino. Class of 1986, he is considered one of the most promising talents to appear on the Italian music scene in the past few years.Born in Alba, but taking Turin as his home town, he was awarded important Italian and European prizes, gaining recognitions both nationally and internationally. As a soloist he won the “Premio Internazionale Massimo Urbani 2011”, the “Premio Nazionale Chicco Bettinardi 2011”, and the “Revelation of the year 2011″JazzUp Channel Red Award. With his trio he was awarded Special Prize as “Best Band” at the “Bucharest International Competition 2014”, the “Fara Music Jazz Live 2012” prize (as best soloist and best band), the “Barga Jazz Contest 2012” prize and the “Premio Carrarese Padova Porsche Festival 2011”. In 2013, 2012 and 2011 he was among the best 10 Italian pianists according to the “JazzIT Awards” referendum, organized by the magazine JAZZIT. In 2013 his trio was also among the best 10 Italian bands. His debut album “Introducing Myself”, recorded with his trio and featuring the sax player Rosario Giuliani, was included in the 2012 “100 Greatest Jazz Album” selection, compiled by the magazine JAZZIT. In parallel with his accademic classical studies, which led to a Music Diploma in Organ in 2006 and a second level Music Degree in 2009, he also sudied jazz, through private lessons and workshops with the following musicians: A.Faraò, D.Moroni, R.Zegna, D.Rea; F.D’Andrea, S.Battaglia,G.Trovesi, P.Tonolo, F.Di Castri (Siena Jazz 2007, where he was awarded a scholarship for 2008); B.Harris (Felt Club Roma), J.Calderazzo, K.Rosenwinkel, S.Colley, J.T.Watts, S.Bonafede (Saint Louis College Rome). In 2012 he got a Master of Jazz Music Degree at the “G.Verdi” Conservatory of Turin, with F.Di Castri e D.Moroni. He flew to Detroit with Emanuele Cisi on a study exchange trip between the Jazz Department of the Conservatory of Turin and the Wayne State University of Michigan, where he performed with the University’s big band and their professors. In the same years,2012 and 2009, he took private lessons from Fred Hersh e Hal Crook. He has performed in festivals and clubs in France, Belgium, Switzerland, England, the Czech Republic, Poland, Turkey, Rumania, U.S.A. and in innumerable places in Italy. Balancing Dreams is an impressive solo recital by Fabio Giachino, a very skilled pianist who deserves to be better known outside of his native Italy. Fabio Giachino is an important new jazz pianist from Turin, Italy. Even this early in his career, Giachino has an impressive resume. He has performed at festivals and clubs throughout the world and, in addition to working with top Italian jazz artists, he has collaborated with Dave Liebman, Miroslav Vitous and Mark Nightingale among others. Giachino has led three CDs of his own (Introducing Myself, Jumble Up and Blazar) with trios and has been considered a major Italian jazz pianist since at least 2011. Balancing Dreams is Fabio Giachino’s first CD of unaccompanied solos. He performs 11 originals, Thelonious Monk’s “Thelonious” and Billy Strayhorn’s “The Star Crossed Lovers.” The songs flow logically from one to another. Giachino displays an attractive touch on the piano along with impressive technique but also shows a lot of self-restraint as he expresses honest emotions. While he considers Herbie Hancock to be a major inspiration and there are moments on the modal pieces where he hints at a gentler version of McCoy Tyner, Giachino avoids sounding like any of his historic predecessors. He displays his own fresh style within jazz’s modern mainstream. After the opening “Introduction” which is quite thoughtful, Giachino plays “Balancing Dreams,” a post bop jazz waltz. He is playful on a bluish version of “Thelonious” and creates a colorful dialogue between his right and left hands during part of “Crossings.” Probably the most memorable of his originals is “Awakenings,” a piece with a haunting theme that is a bit nostalgic and wistful. “Stride In Rhythm,” which is just 14 seconds long, precedes “Trane’s Mood” which is a little reminiscent of “Giant Steps” and of John Coltrane’s harmonic style in general. Giachino clearly enjoys digging into “Underground Blues,” getting a bit lowdown. Two modal pieces, the ballad “Sand Land” and the jazz waltz “Moon Slice,” display his versatility. “Torinho-New Orleans-New York” is a change of pace, a piece in Italian that is a collaboration with rapper Ensi.Balancing Dreams concludes with an inventive yet melodic version of “The Star Crossed Lovers” and “Dynamic Sounds.” The latter has plenty of energy and features Giachino overdubbing on a second piano. in cui spazia dal be bop al blues (tanto bel blues! ), dalla ballad all’ hip hop, in cui tiene felicemente insieme tradizione e modernità, in cui fa interagire classici come Thelonious Monk (Thelonious) e Duke Ellington (The star crossed lovers) con le sue composizioni originali “ispirate” da suggestioni e atmosfere alla Herbie Hancock. Insomma: il talento personale, le radici, l’evoluzione delle radici. Torino più New Orleans più New York, come suggerisce un programmatico pezzo cantato dal rapper Ensi in cui vengono citati i riferimenti musicali di Giachino: Hancock, certamente, ma non solo. Lirico, senza essere accomodante, swingante, senza essere corrivo, intenso, senza essere ermetico e cifrato. Anzi godibilissimo. E per tutti, senza essere mai prevedibile. Queste, insieme a una forte espressività, sono le qualità migliori di “Balancing dreams”, album che segnala un’ulteriore presenza di qualità nel già significativo panorama del pianismo italiano. Come dice Dado Moroni, che lo ha avuto tra i suoi allievi, Giachino rivela un linguaggio “che affonda le proprie radici nella storia del jazz per poi guardare avanti. Un vero pianista moderno”. Condividiamo. 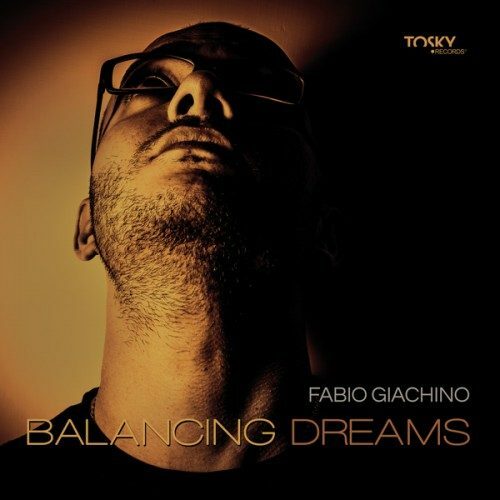 FABIO GIACHINO [p] is a new name to me but based on BALANCING DREAMS [Tosky Records 016], a June 17&18, 2015 solo release, this is a pianist of range, technique and feeling. With the exception of “Thelonious” and “Star Crossed Lovers”, the 13 tracks [45:13] here are all originals. Giachino displays a good use of tension on ballads and digs in on up tempos where he is concise and even shows off a bit of stride ability. On the two non originals he shows an original approach. On one of his originals he is joined by rapper Ensi who does a light rap which evokes several jazz names but is delivered in Italian so its message is lost to me. I also find its purpose lost but inoffensive. This is an impressive pianist and, if heard of again, it will be interesting where he focuses his talents. Fabio Giachino si cimenta con il piano solo in questo “Balancing Dreams” pubblicato con l’etichetta Tosky Records. Il cd contiene 13 brani quasi tutti a firma dell’artista, fatta eccezione per “Thelonious” di Thelonious Monk e “The Star Crossed Lovers” di Duke Ellington. Un pianista e il suo pianoforte. Sembrerebbe la cosa più naturale del mondo, eppure è l’incontro più difficile e pericoloso per l’artista, perché lo strumento ha infinite potenzialità, contiene un’orchestra e il lavoro di ricerca che si può portare avanti sulla tastiera dura una vita. Di questo lavoro ci colpisce proprio la capacità di Giachino far risuonare lo strumento con un fraseggio fluido, sapiente, melodico, ma anche di percuoterlo sfruttandone la capacità ritmico-percussiva, di metterne a nudo dolcezza e crudeltà. “Balancing Dreams” è il personale colloquio di Fabio Giachino con il suo strumento, un discorso che, pur tenendo conto dell’indole jazzistica dell’artista, si svolge in piena libertà di espressione. C’è il blues, c’è lo swing, c’è l’intenzione lirico narrativa delle ballad, c’è uno spirito moderno che avvolge l’atmosfera generale della registrazione, c’è l’invenzione inattesa e l’abilità di incorniciarla in un personale mood. Tra le novità proposte da “Balancing Dreams”ascoltiamo un inedito duo di Fabio Giachino con il rapper Ensi, in “Torino-New Orleans-New York”, avvicinando jazz e hip hop in un’operazione davvero inusuale che mette vicino metriche diverse. In “Balancing Dreams” le composizioni di Giachino rivelano sempre buone idee che non si cristallizzano in forme rigide. L’amore per il jazz del pianista lascia sempre aperta la porta all’istantaneità dell’improvvisazione, nucleo essenziale del suo linguaggio. Con questa produzione Fabio Giachino compie un ulteriore passo avanti nel percorso intrapreso con gli studi classici prima e con il perfezionamento in jazz sotto la guida di grandi maestri come Dado Moroni, Antonio Faraò, Franco D’Andrea, solo per citarne alcuni. Ha ottenuto importanti riconoscimenti per il suo lavoro vincendo premi nazionali e internazionali e il suo album, in trio con la partecipazione speciale di Rosario Giuliani,“Introducing myself”, è stato inserito nei “100 Greatest Jazz Album 2012” per la rivista Jazzit. La Torino di Giachino è come Vigata per Camilleri. Un posto, figurato, dove ambientare le proprie storie. Nel caso del pianista dove dare costrutto reale ai propri sogni, che nascono in un luogo immaginario situato a metà strada tra New Orleans e New York. Li, forse si è svolta la sua formazione, in una vita parallela e monkiana (Thelonious), dove ha forgiato il suo pianismo “nervoso”, che scava nella carne, martella l’anima e mette a dura prova le vene dei polsi. Un pianismo ammantato di blues (Underground Blues), che vuole togliersi la sofferenza di dosso e farla diventare felicità (Awakenings). È li che c’è il cuore delle sue composizioni e della sua idea di jazz, che non può fare a meno del passato (Stride’n’Rhythm) di questa musica ma che la interpreta con piglio moderno, quello di un pianista creativo, libero e fantasioso, che non rinuncia mai ad essere lirico, e, a tratti, poetico (Balancing DreamS e Moon Slice). Giachino con Balancing Dreams dimostra, se ce ne fosse ancora bisogno, di conoscere molto bene l’alfabeto jazz applicato al pianoforte. Di questa conoscenza ne fa un uso sapiente. È un patrimonio che utilizza come base materiale della sua tastiera per creare, comporre, ed esprimere attraverso un percorso coraggioso e in solitudine il suo essere jazzista a tutto tondo (Dynamic Sounds). Consigliato.